If there’s one thing The A.V. Club’s staff can generally agree on, it’s that John Hyams’ moody Universal Soldier sequels are the goddamn cat’s pajamas. 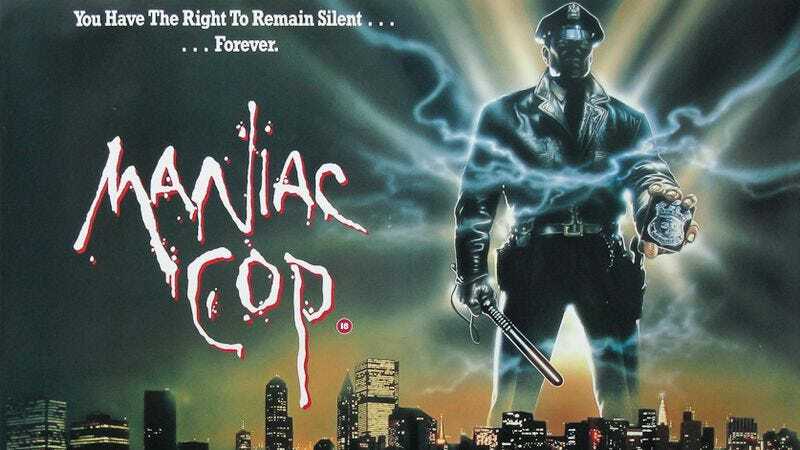 Now, news comes from Fantastic Fest—via Twitch, of course—that Hyams will be applying his patented mixture of boldly staged action and unexpected arthouse styling to another disreputable, long-dormant franchise: the bizarre low-budget slasher Maniac Cop. Nicolas Winding Refn has been developing a remake of the movie since 2012, and will reportedly produce Hyams’ version. Robert Z’Dar—the full-moon-faced star of Maniac Cop and its sequels—passed away earlier this year, meaning that Hyams can’t play up the passage-of-time poignancy of a returning lead, as he did with Jean-Claude Van Damme and Dolph Lundgren in Universal Soldier: Regeneration. Still, viewers can probably expect notes of body horror, out-of-nowhere references to art films, and plenty of neon light.